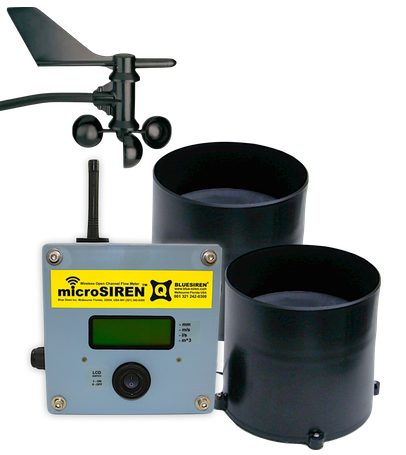 Wireless Rain-Siren monitors come equipped with the capability of connecting a total of three rain gauge sensors. The RainWise TBRG model RGP industrial tipping bucket rain gauge is constructed to provide accurate recording of rainfall data at a reasonable price. The 200mm diameter collector meets NWS specifications for high level accuracy.